Tahir was called to the Bar in 2009 having been admitted as a Solicitor in 2004. He subsequently became a Partner/Director specialising in Personal Injury & Civil Litigation at a Legal 500 firm in Manchester city centre and was awarded the Law Society accredited personal injury practice as well as panel membership of Motor Accident Solicitors Society (MASS). 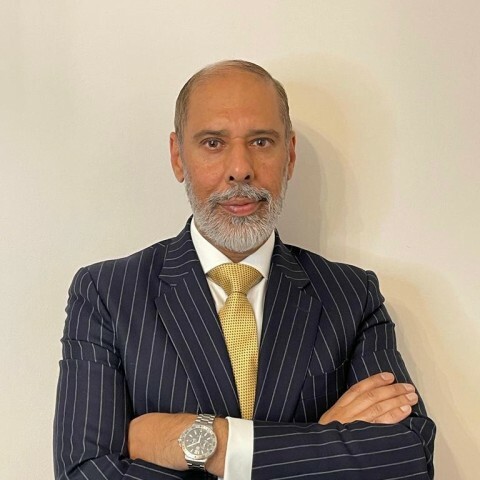 With his exemplary background as a successful Partner/Solicitor, Tahir brings a very practical and pragmatic approach in promoting his practice and managing client expectations. He remains Manchester based and is prepared to travel nationwide. He is willing to accept written instructions on matters of liability, quantum and drafting. He appears on trials, disposals, all types of applications and interim hearings, both local and nationally. Tahir is dedicated to providing a quick and efficient turnaround on paperwork, providing clear yet thorough, practical and friendly advice. Tahir is willing to undertake work on a CFA where appropriate. Tahir is a ‘Registered Lawyer under The FA Football Agents Regulations’ and a member of the British Fencing Association. He has also successfully completed an approved Public Access course with the Bar Council and is now available to accept direct access instructions. Tahir has also lectured on a part-time basis for many years to the Institute of Legal Executives at The Manchester College (MANCAT). Prior to being admitted as a Solicitor, Tahir served as a Police Constable for the Greater Manchester Police for several years. He is bilingual in Urdu, Punjabi and Hindi (spoken word only) and when not working he likes to swim, play badminton, squash and regularly sword fences in Bramhall, Cheshire. Tahir says: “Advocacy has always been a calling for me and I believe I have found my niche and passion in life”. Tahir was nominated as a 'Finalist' in the 'Services to Law' category at the British Muslim Awards 2014 presented by The Islamic Bank of Britain. It is evident from my dealings with Tahir Khan that he is extremely knowledgeable and forthright in his advice. In a recent hearing he attended on my behalf he managed to secure an Order I was seeking but not expecting. Job well done! I would recommend Tahir [Khan] to any of my colleagues as he dealt with a case where we were in a very difficult position, and achieved a very good result. I was very pleased with Tahir Khan thanks who managed to get an excellent result at the hearing. Well done (Tahir Khan), great result again and thanks for your help. I will recommend you should an opportunity arise. I am very pleased with the good results achieved for one of our very best clients. Thank you so much for this [Tahir Khan]- it will really make (client)'s day! And what a result!! Thank you again. Thank you [Tahir Khan] for your creative advocacy and eye for detail which resulted in an increase in the general damages. Keep up the good work, it's certainly not going unnoticed. I shall certainly be instructing you again! Thanks again [Tahir Khan]. Your thoroughness and efficiency is much appreciated.